It's more than a slogan, it's a commitment. 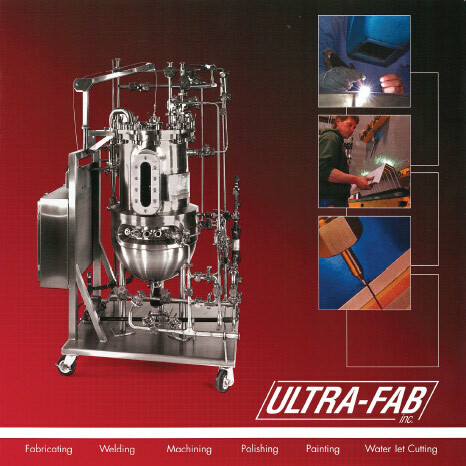 At Ultra-Fab we consistently deliver high-quality products, to your specifications, on-time and competitively priced. Our precise welds and polishing is the very backbone of our company! We are located in Kenosha, WI, just minutes from I-94 between Chicago and Milwaukee. Utilizing the latest technologies in stainless steel fabrication, our team of highly skilled tradesmen develop to your specifications. We are committed to producing the best possible product on-time and competitively priced. "Our Custom Made products are created with the finest quality Stainless Steel and available in a variety of finishes. Our items are designed and manufactured by local artisans in our Wisconsin based shop. We guarantee superb quality and service as we have for the past 20 years. Every piece is a unique statement of creativity and craftsmanship." 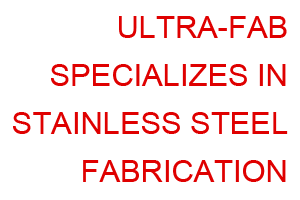 Take a minute to view our site and see how our services, skills and equipment are suited to meet your needs. Then, give us a call, and talk to one of our experienced sales staff who can discuss your project and walk you through our process from start to finish. The final product will be one you can be proud of. Our quality products are a result of the dedication to excellence by our entire staff. Call today, we would be honored and pleased to quote on your project! Our brochure features products that we've customized for our clients, and is available for view. Ultra-Fab's modern 22,000 square foot plant is conveniently located in the Kenosha Industrial Park. We would be honored and pleased to quote on your project, and if you come visit us, we would enjoy giving you a personal tour of our facilities. Located just minutes from Interstate I-94 between Chicago and Milwaukee. For more information, email, phone, fax or write us. We would be honored and pleased to quote on your project, and would also enjoy giving you a personal tour of our facilities.